Qatar is a prosperous and highly influential country with a population of about 1.8 million. The mainstay of the Qatari economy is, as might be expected, petroleum. Investment in Qatar petroleum is high, with more than 85 percent of earnings from export attributed to oil. Estimates of proven oil reserves in the country are at around the 15 billion barrel mark. Qatar also pursues a policy of vigorous industrialisation; in addition to petrochemical products, Qatar is heavily involved with commercial ship repair and the manufacture of cement and steel reinforcing bars. The country invests substantially in public works and infrastructure and has an expertly run and well-regulated financial services sector, including a forward-thinking and thoroughly modernised banking sector. Ahli Bank, one of Qatar’s most successful and customer-focused banks, is one example of a modern Qatari bank that provides comprehensive and expert advice over investment in Qatar. The principal entity in the Qatari banking industry is the Qatar Central Bank (QCB). As the nation’s principal bank, the QCB is the prime regulatory authority for the entire banking industry. In addition, the QCB regulates exchange houses, investment companies and all kinds of financial institutions. Unlike many austere and remote central banks of Arabic nations and other countries, the QCB sets out very consciously to be a friendly regulatory authority. The QCB takes pride in its communication skills and in working with the Qatari banking industry to create a banking climate of confidence, transparency and fairness that encourages both domestic and foreign investors to make the most of the opportunities offered for investment in Qatar. The Qatari banking industry currently comprises eight commercial banks, including Ahli Bank, which is one of the most dynamic and forward-thinking banks in the world. There are also eight foreign banks. Many banks encourage investment in Qatar by offering drive-in and mobile banking services. Generally, the Qatari retail banking and commercial banking industries are highly developed and offer facilities similar to what would be expected in the west, given that the nation’s banks naturally pursue Islamic banking practices. Investment in Qatar is further supported by the general agreement among foreign economists and bankers that banks in Qatar are well-financed, secure and regulated both efficiently and effectively. Importantly, the Qatari authorities are willing, if necessary, to support domestic banks with direct investment. The Qatari banking sector is currently listed by S&P in Banking Industry Country Risk Assessment (BICRA) group 4. Qatar is an exciting country economically and for financial speculation. 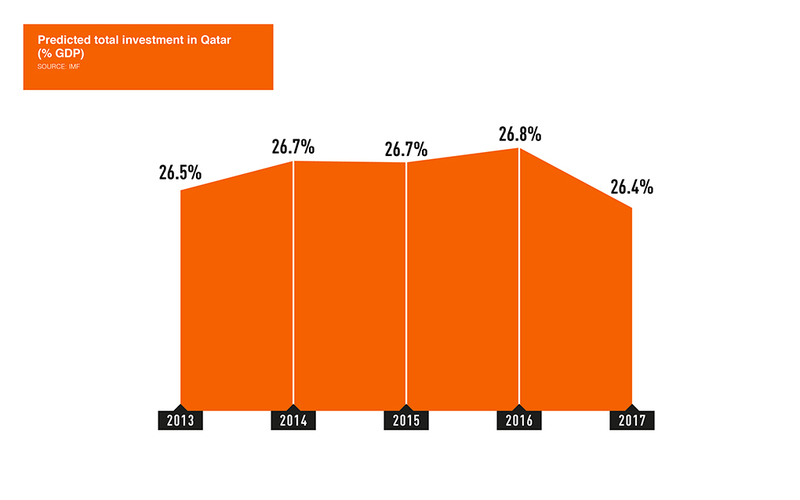 Investment in Qatar appeals to both investors located in Qatar and based abroad. A strong case could be made that of all the Arabic nations, Qatar is the most stable and business-friendly. 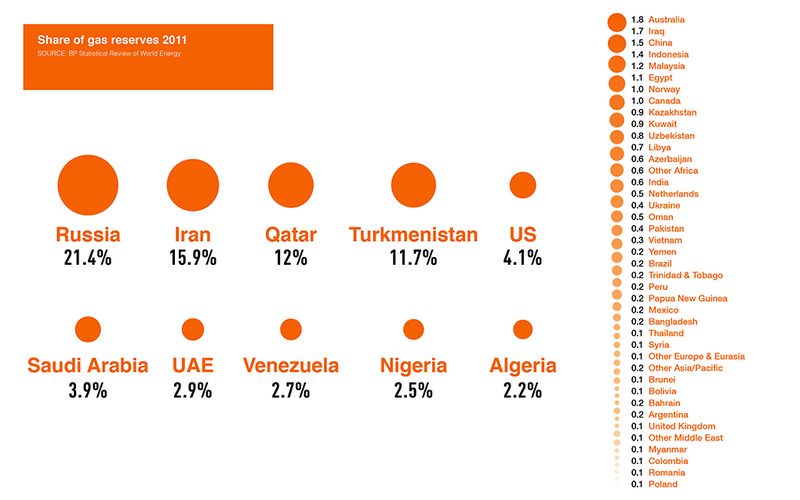 Claims are made that Qatar is the world’s most prosperous country in terms of average per capita GDP. Qatar is one of the world’s fastest-growing economies, with real GDP averaging in the vicinity of 16 percent per year from 2005 to 2011. The World Bank’s figure for Qatar’s GDP is $172.98bn, and the economy is growing fast, with current estimates of economic growth being around the 18.7 percent mark. The IMF reported that in 2011 average headline consumer price inflation was contained at two percent, and that the overall fiscal balance for 2010/2011 produced a surplus of 2.7 percent. Certainly, the economic facts about Qatar suggest that investment in Qatar would be a useful and sensible part of any diversified investment portfolio. The close and cordial relations between Qatar and the United States are also encouraging to those seeking to make the most of investment in Qatar. Ahli Bank plays a vital role in Qatar’s prosperity by encouraging business and stimulating investment in Qatar by extending credit broadly and by being a pillar of Qatari society. Ahli Bank also prides itself on the steps it takes to attract, nurture, train and develop Qatari talent. This particular point is given special emphasis in Ahli Bank’s most recent annual report, in the Board of Directors report by Sh. Faisal Bin Abdul-Aziz Bin Jassem Al Thani, the Chairman of the Bank’s Board of Directors. The IMF recently praised the Qatari authorities for implementing prudent policies which, during the global economic crisis, had contributed to ‘maintaining strong economic growth while safeguarding financial stability.’ Crucially for anyone interested in investment in Qatar, the IMF stated its view is that the economic outlook of the Qatari nation is favourable, despite Qatar’s vulnerabilities to gyrations in the prices of hydrocarbons and financial shocks that might occur around the globe. Of course, the Qatari government deserves much of the credit for the way the country’s economy is run, but Qatar Central Bank (QCB) also plays a crucial role in its meticulous regulation of the Qatari banking sector that nonetheless does not stifle the energy and competitiveness of the sector. The QCB says that in aiming to achieve the above objectives, it seeks to maintain ‘a balance between local and external considerations in order to avoid imbalances and instability.’ In order to achieve this, the QCB now plans to strengthen service systems, take measures to counter economic and financial disturbances and enforce a state monetary policy and exchange rate policy, all of which are expected to further boost investment in Qatar. Any bank operating in Qatar today needs to be able to offer a range of first-rate retail and wholesale banking services, with an important emphasis on helping customers with every aspect of their requirements for investment in Qatar. Qatari banks are presiding over an economic climate of political stability, good and prudent management by the Qatari government, prosperity and forward-thinking. The sheer wealth of the nation and the excellent infrastructure that prevails around the country further underscores the benefits of investment in Qatar. Doha International Airport, for example, scheduled to be replaced by a new airport later in 2012, is one of the busiest airports in the world. Qatar’s substantial endowment of oil and natural gas, its high regulatory standards for the business environment and banking industry in particular, are all factors that also encourage investment in Qatar. The large number of hard-working foreign workers that make a major contribution to the economy alongside the devoted efforts of the Qataris themselves is also a clear sign of a healthy and burgeoning economy. 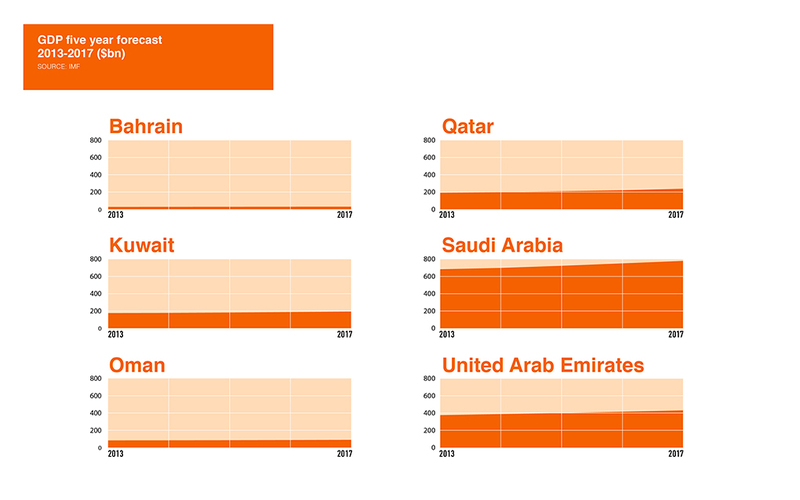 There is also the fact that Qatar appears to be competing successfully with the nearby United Arab Emirates. Many Western corporations have moved to Qatar from other Arabic countries as they feel Qatar offers a more relaxed, politically stable environment in which to do business. But doing business in Qatar and making the most of the exciting and potentially profitable opportunities that investment in Qatar offers isn’t just a matter of having a good business idea and a canny approach to direct and indirect investment in Qatar. A potential investor needs to find a bank that is thoroughly versed in all the particular challenges and opportunities that Qatar offers, while also having a truly international perspective. Ahli Bank began its operations in Qatar back in 1983, but has a thoroughly up-to-date approach to business, the kind of approach that led to it being awarded the coveted ‘Best Commercial Bank in Qatar’ award by World Finance. 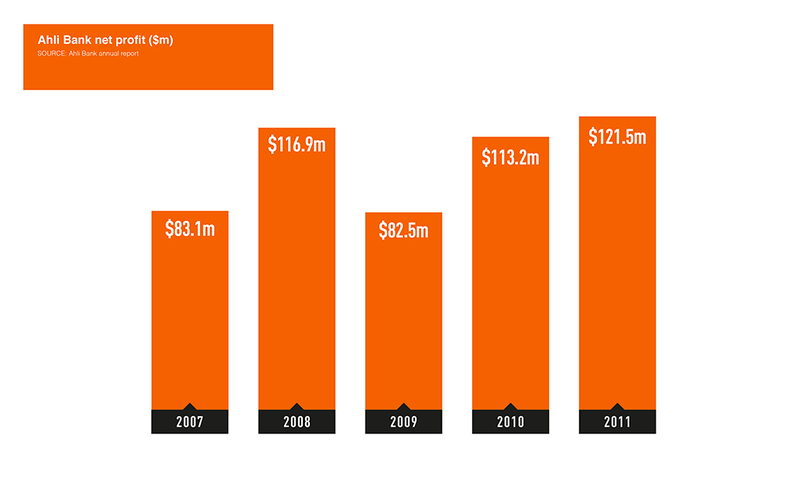 Between 2007 and 2011, Ahli Bank’s net profit increased from 302,652,000 Qatari riyals to 442,245,000 Qatari riyals. The bank is part of the Ahli United Banking Group which currently has a presence in eight countries, including the United Kingdom. Ahli Bank has enjoyed exceptional growth and is progressive in its thinking but yet also totally Qatari in its nature, ethics, philosophy, adherence to core Islamic values, and in its outlook. Ahli Bank’s customers therefore enjoy what is literally the best of both worlds: a Qatari perspective that is also an international one. When it comes to seeking a partner for providing hands-on advice and in-depth national and international expertise for investment in Qatar, Ahli Bank deserves to be on any astute investor’s shopping-list.